Shawn told us a bit about the local history. A down-on-its-luck fishing village reinvents itself. A few years ago I went to visit a friend in a small coastal town in BC, and she described the place as “a little drinking village with a fishing problem.” That description could fit an awful lot of places on the coast, and it’s interesting to see how these towns, faced with sagging fishing and logging revenues, struggle to maintain their economies during tough times. Hoonah, Alaska was one such town, and their solution was to reinvent themselves: the village and its nearby dilapidated salmon cannery would become Alaska’s newest cruise ship destination. Welcome to Icy Strait Point, ladies and gentlemen, open for business on May 23, 2004. The idea was audacious, to say the least. Juneau, Ketchikan and Skagway had the cruise ship business sewn up, with “flight-seeing” adventures, whale watching tours, historic railways, and endless homogenous souvenir shops as far as the eye could see. But the people of Hoonah seem to have figured out what many coastal communities have not: you can’t just hang out a shingle and announce that you’re “allowing” cruise ships to come. I’ve heard that turn of phrase many times, and it doesn’t work that way. It’s not as if there’s a great fleet of ships circling the harbour waiting for a town to give them the green light to dock; if you want to appeal to the cruise ship market, you need to invest, and you need to be fairly aggressive about it. It’s not easy to turn your small town into a destination that can attract and entertain four thousand people at a time. The old cannery. Ships anchor in the strait and guests shuttle ashore via tender. 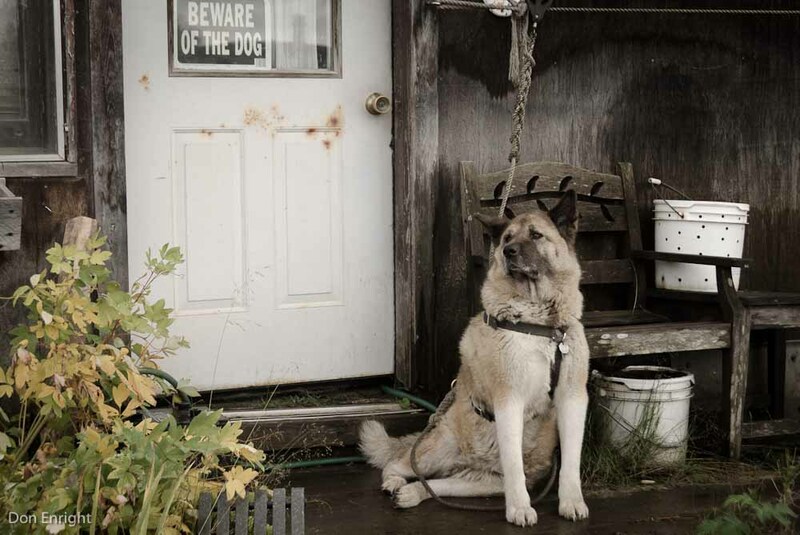 The first step for Hoonah was getting consensus in the community around the idea. I asked a couple of locals if there had been controversy about the project, and they suggested it hadn’t been much of a struggle. Having lost both their salmon business and the logging industry, there wasn’t much else on the table. The Huna Totem Corporation, part of Alaska’s unique system of native village corporations, took the lead and still manages the site as Alaska’s only private cruise ship destination. Next came defining the offer. 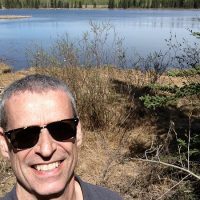 As part of my day job, I help sites identify the essence of their tourism destination: what makes you unique? What makes you what you are, and distinguishes you from other regional attractions? For Icy Strait Point, the answer seems obvious: the essence of the site lies in the hospitality of the Tlingit people (sounds like “Clinkit” when they say it) and the simple, quiet authenticity of the region. Originally, this was a salmon canning facility. Back in the heyday of the industry, sites like this, with wooden buildings jutting out over the water on great creosote-soaked pilings, dotted the coastline from Alaska to California. 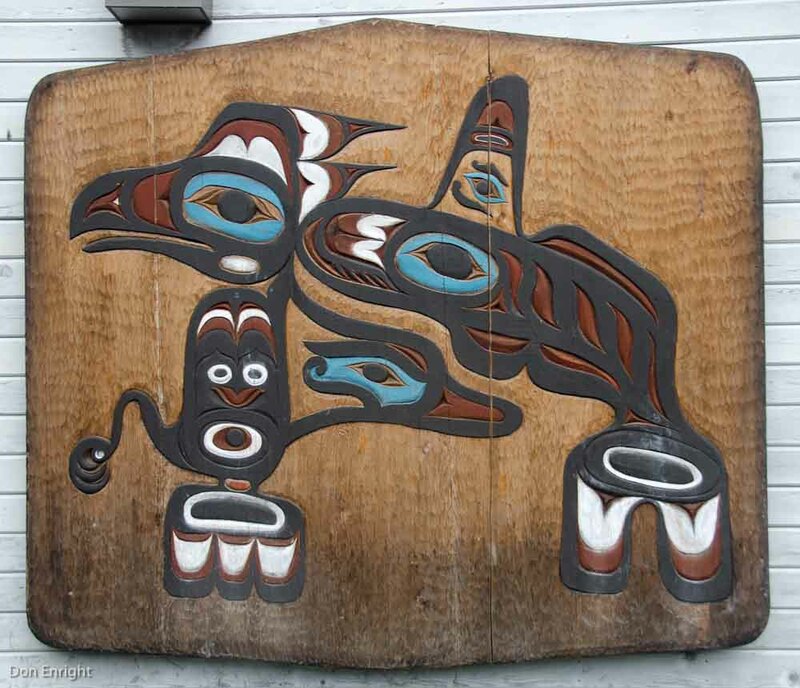 Few are left standing now, but here the buildings, still in good shape, would be put to use as a museum, a restaurant, gift shops and gathering places, all holding onto their rustic wooden charm, all of them decked out in historic salmon fishing gear and traditional Tlingit art. 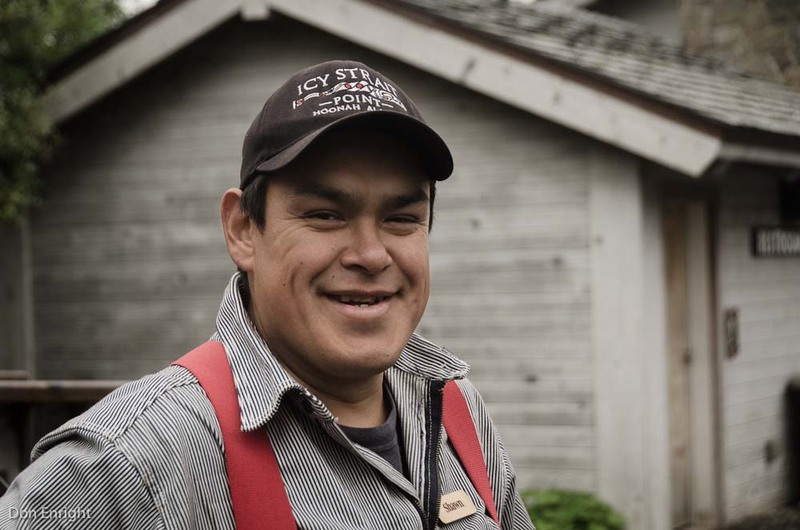 The Tlingit people are everywhere at Icy Street Point, as tour guides, maintenance people, restauranteurs and drivers. Their pride in the site is obvious and their soft-spoken sense of humour is a welcome contrast to the brash Alaskan pioneer persona that the other ports of call try to project at every turn. The natural beauty of Alaska is its primary draw, of course, and this is in no short supply at Icy Strait Point. Narrow, calm channels overhung with thick, moody clouds paint a perfect West Coast picture, and the abundant humpback whales and sea lions stand by to captivate those who venture out with local guides. Salmon streams and their attendant bears are also a big draw, particularly late in the season, and guests rarely return from their excursions disappointed. When planning this destination, somebody clearly advised the community that they needed a big-name anchor attraction, and so Alaska’s highest-vertical-drop zip line came to be. I have not personally had the pleasure—I can’t abide zip lines—but it is clearly a popular draw and the speed at which visitors come screaming down the wires is really impressive. 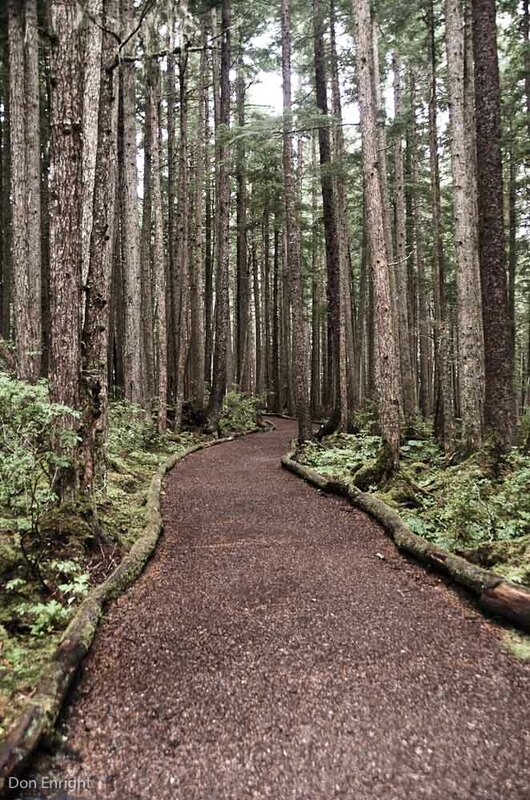 For those who choose to stay on terra firma, a forest walk is thoughtfully laid out with wide, smooth, flat pathways—perfect for the cruise ship clientele. The museum is remarkably well done, and its exhibits lead you through the great salmon-canning era with clarity and eloquence. For those wanting a bit of a walk, a paved sidewalk takes you into nearby Hoonah, by far the most authentic coastal community that a cruise ship guest will ever see in Alaska. It’s not a wealthy town, to be sure. But it is quiet and charming, and it seems clear that the locals have no trouble welcoming the endless cruise ship visitors who try to peek through their windows. I asked a merchant if they were sick of us yet. 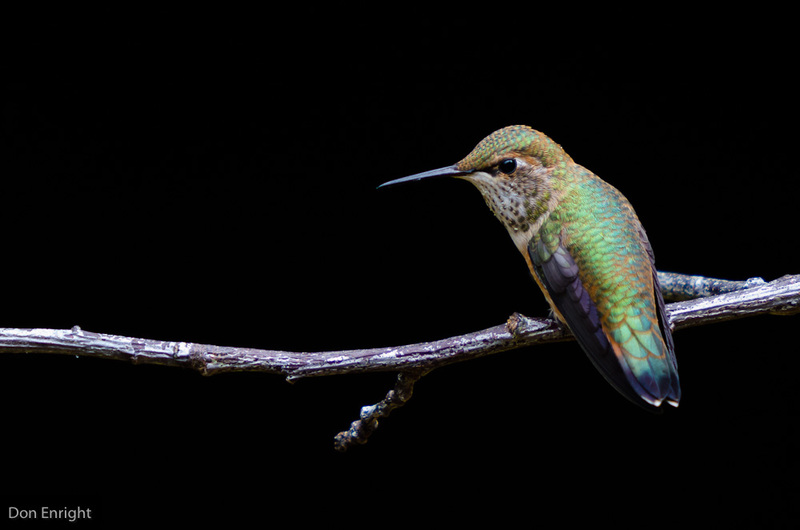 He laughed and said that they were going to be glad to have some time to hunt and fish and travel a bit when the season was done, but that it had been a very good year. The numbers appear to back that up. Icy Strait Point now accounts for 20 to 28 percent of Hoonah’s employment, generating 137 jobs annually and $2.2 million in payroll for the town. Revenue comes in the form of both goods and services, and fees from cruise-ship companies. I was happy to spend a little cash here—it really is a beautiful spot and we felt welcome everywhere we went. The other passengers on the ship were over the moon with their experiences, breathlessly reporting coming This! Close! to bubble-net-feeding humpbacks and salmon-hungry bears. I wish Icy Strait Point the best of fortune in the years to come. 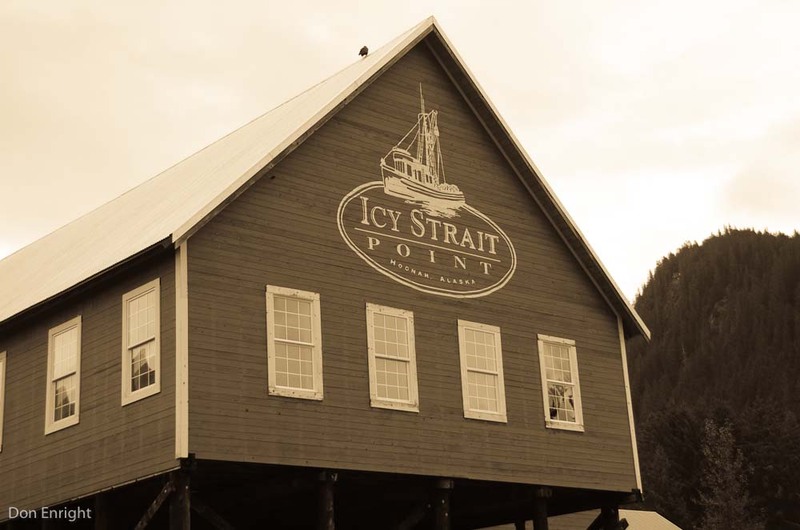 Posted in Ports of Call, West Coast and tagged Alaska, cruise, Icy Strait Point. I was fortunate to be on a cruise one year ago last August and we stopped at Icy Strait Point. A lady with her goods was set up on the side of the road under a tree where Eagles were nesting. She pointed the baby out to me. The lady sold a salve that heals cuts. She told me that bears rub against the particular tree to heal wounds. I have lost the lady’s web address and I’m wondering if you know of whom I am referring. I’d love to order more of her salve. Thank you for any help you can give. I hope that I can come back to visit someday. Hmm there was devil’s club balm as I recall (devil’s club is a particularly nasty plant of that reason but I guess it makes good balm. Try googling Alaskana Botanicals.